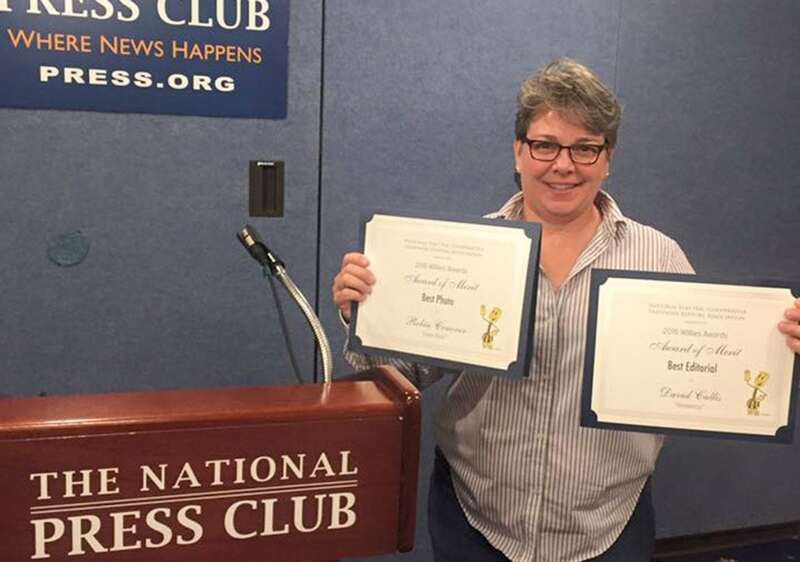 The Tennessee Magazine staff took home awards of merit for best photo and best editorial at the Willie Award Ceremony held Monday evening, Aug. 11, at the The National Press Club in Washington, D.C. The National Rural Electric Statewide Editors Association Willie Awards is a peer-reviewed program that recognizes excellence in electric cooperative statewide consumer publications. TECA Executive Vice President and General Manager David Callis received an award of merit for best editorial for Resiliency (Oct. 2015), and Robin Conover, vice president of communications and editor of The Tennessee Magazine, received best photo for this image from The Lions Roar (July 2015). Electric co-ops help offer a place and a prize for research on greenhouse g... The Windshield or the Rear View Mirror?